The aromas are cheifly characterised by pear and blackberry with hints of cut hay. Light and refined with a touch of citrus on the finish. 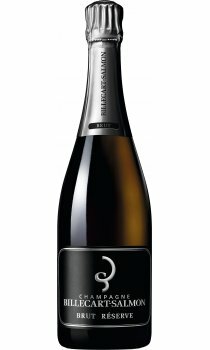 Billecart-Salmon is one of the few remaining Champagne houses to be owned by the original family and was established in 1818 by Nicolas-Francois Billecart. Most of Billecart-Salmon's fruit comes from a small vineyard holding, though this is supplemented with grapes bought in from the Marne Valley and the Montagne de Reims. Meticulous production techniques, from the use of their own cultured yeast to its long, slow, cool fermentation, ensure that the family has 100% control of production.